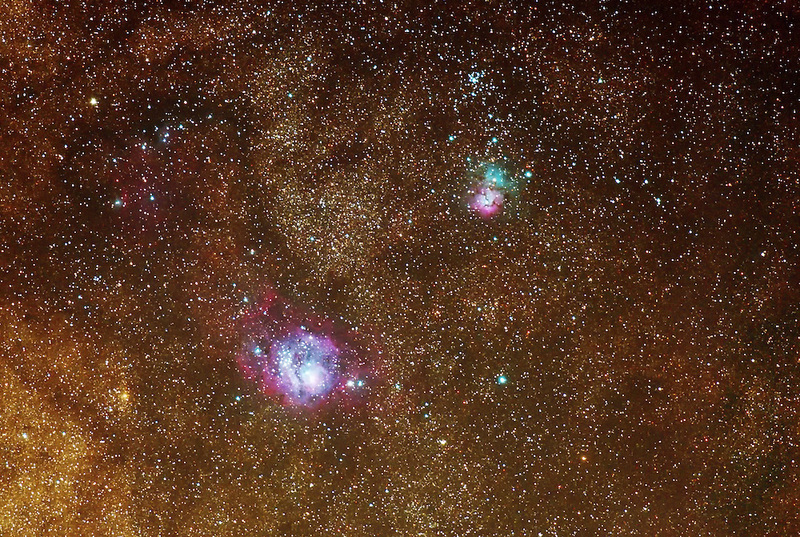 Lagoon and Trifid Nebulas with Milky Way core in the background. Total integration time: 15 minutes. Shot with an unmodified D750 at 200mm then cropped to 4.5MP to show details.